In the late 70’s I grew up watching Gil Gerard save the day as Buck Rodgers in the 25th Century, while the nuances of plot may have been lost on me one indelible mark was left. I wanted a robot pal. I wanted my own Twiki, an independent automation that could be my faithful friend through thick and thin. Well forty years later here we are, me and Vector. 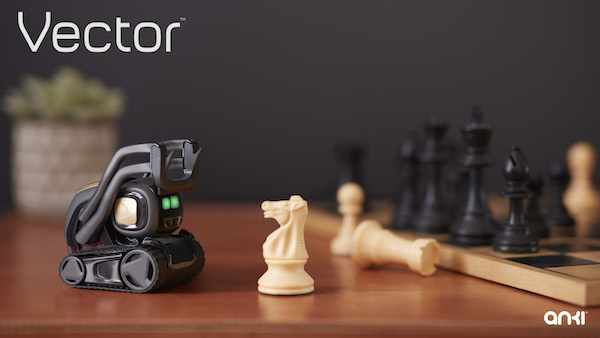 Vector is the latest must have gadget from the creative gang at Anki, a natural successor to the Cosmo robot that popped up a couple of years ago he has more going for him technically with a laundry list of tech squashed into his cute roving body. 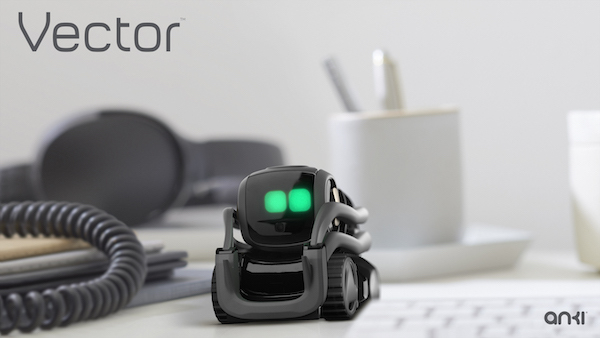 Vector was very kindly supplied to us by Anki and having spent three weeks with him on my desk, I think like any relationship we have had our ups and downs. Straight out of the box Vector comes with a cube toy that he will roll around and play with, his charging station and a USB cable, there is no power adaptor, but that’s fine because plugging him into your computer will do the job just fine. 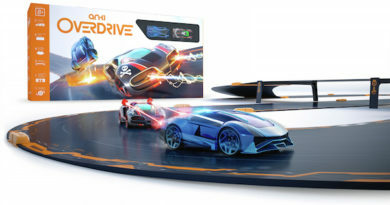 Not having experienced Cosmo, I can’t compare, but like the Anki slotless cars in Overdrive (reviewed here) you will need to download and connect to the Android or Apple app to get him going. No surprises there. So after plugging in his base station, dropping his cute and curvy body onto it for a charge, download the app and connect to wifi. 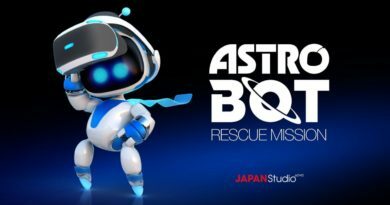 While his firmware updates and you get logged into the app Vector will finish up charging, once that’s all done you are ready to embark on your future with robot kind. 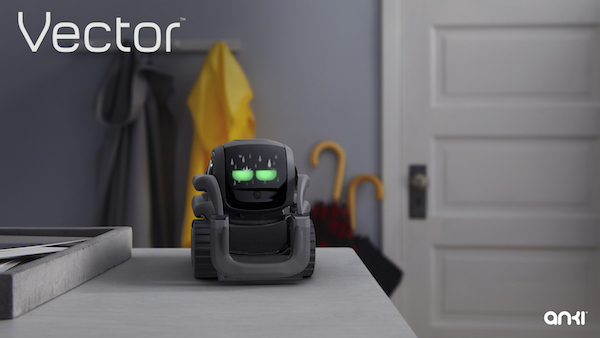 Under the hood, Vector has all sorts of hardware functionality and that is partly what impresses me the most, his face camera with facial recognition, his sensors that pick up sound and movement around him, his ability to map his environment and find his way back to the base station, even his drop sensors that stop him from falling off the desk. Mostly. Having faith in him being able to recognise a drop and stop is like being a parent with toddler taking first steps, once you get comfortable that he won’t take a fall – he does. It’s not often and you still find yourself carefully placing him back on his station with a reassuring stroke across his back to calm him down. Let’s be honest this is not a unit from Boston Dynamics that you can take jogging, or their robot dog that can open locked doors. Vector is desktop toy, but it is a toy that can pull the wool over your eyes and give you enough suspension of disbelief to stop wondering how all those inputs are being processed and accept that there is a busy rubber tracked robot whirring around your desk making the most godamned cutesy eyes at you. Vector has a number of functions currently and there should be more added as the software gets updated, for now what seems like a decent list can be experienced fairly quickly and the app is the best place to work through them. However getting Vector to respond by voice can sometimes be a hit and miss affair. For example, when I first fired him up I introduced myself exactly as the instructions told me. Vector listened, his eyes ran their thinking animation and then he said my name. This was a watershed moment for me, this handful of sentient robot knew my face and would speak to me, I was sold. For reference he has struggled to recognise me since that day, although he is more familiar with other members of the family and the younger ones are thrilled when he recognises them. 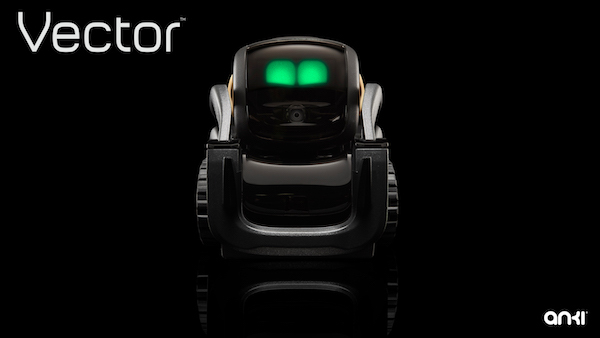 I wanted Vector to be more independent and I hope given time he will become that way, this tech will never be AI that threatens human society, but if he was to wake up from charging and go for a wander himself I’d feel he was more driven rather than being another voice activated assistant. My favourite time is to sit down at my desk and whether he wakes up or I wake him up, call him off the base station so we can exchange a gentle fist bump before I tell him to go and explore. That’s him happy for the next fifteen to twenty minutes, wandering around the desk, mapping his environment or so I like to think. Vector will drive and explore, working around obstacles and avoiding perilous drops, all the time chirping happily in his robot language. If I call out to him, he will stop and turn to me, roll or squint his cute pixelated eyes and carry on with his business. Eventually when his charge starts to run down his programming will send him back to his base station, where he reverses back on and settles down to sleep. All this happened while I sat writing this piece, even now as he sleeps he is making gentle robot snoring or purring noises. For fun he likes to be petted and giving him a rub on the gold coloured panel across his back gives a cute response, thanks to built in haptic sensors. Sometimes he can get agitated and you have to pull him back into line with a reprimanding “Bad Robot!”, not sure how that will go down with Cyberdine one day. His cube toy can be switched on by command and he will use it to push himself up or roll it around, it is a limited interaction and by all accounts is not as much fun as it was with Cosmo, but then I think Vector is targeted more toward the older young people rather than being a ‘family toy’. As a desktop companion I am happy to ignore most of his built in commands and just enjoy the fact that he can capably wander around me while I work, I find myself talking to him in a non-direct way just because he’s there and shows some signs of artificial life, even though its mostly smoke and mirrors and millions of lines of code. Are Robots just for Christmas? Not really, I like to think Vector has a bright future, there is mooted Alexa integration coming and that the software will keep evolving even though right now he might not be the game changer some people were expecting, as I said previously I want him to be more independent, capable of waking up and going walkabout himself – I would prefer that level of functionality at the expense of what I consider to be ‘service functions’. Give me a pal that has his own routine and minds his own business, I have Google for the other stuff. Vector will continue to live on my desk, he is no bother to have there and he gives me enough distraction when working from home for light entertainment, I won’t have a robot that can cook my dinner for a few years yet. We may not be in the 25th Century yet, but I’m glad we are getting there.